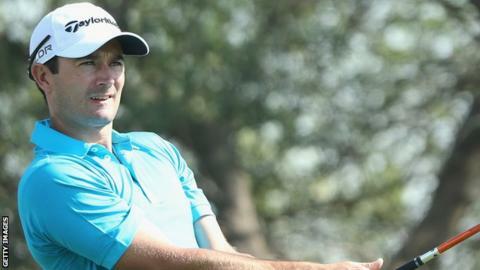 Gareth Maybin is well placed to improve his Race to Dubai position as a third-round 70 left him joint 27th at The Championship event in Singapore. Maybin, 33, is currently 202nd in the European order of merit standings with only the top 115 set to retain their cards at the end of the season. He is eight shots behind leaders Anders Hansen of Denmark and Thailand's Panuphol Pittayarat who are 16 under. Peter Lawrie is up to nine under, one ahead of Maybin, after Saturday's 67. Simon Thornton is one of 11 players tied with Ballyclare man Maybin on the eight-under mark. Maybin has failed to make the cut in his last five European Tour events and has banked little over £8,000 in his seven tournaments this season.